This is one of the recommended stalls when I asked for a recommendation from the sisters that run a noodle stall in the same food centre. The younger sister suggested I should try the Ngor Hiang from this stall. It was usually closed when I was there for early lunch and so, it was only when I happened to go for a late lunch there then I got to try it. The stall is operated by an elderly couple and they were getting ready and about to start at 1.30 pm. Most of the items are handmade, other than the usual items, there are also some of the unique ones that are not likely to be found at the other stalls. One of them is their prawn fritter, it is slightly thicker as there is a piece of the boiled egg right in it. This is an interesting item that is worth trying. The regular items like Ngor Hiang, Prawn Roll, Prawn Cracker are quite tasty too that went well with the accompanying dipping sauce. 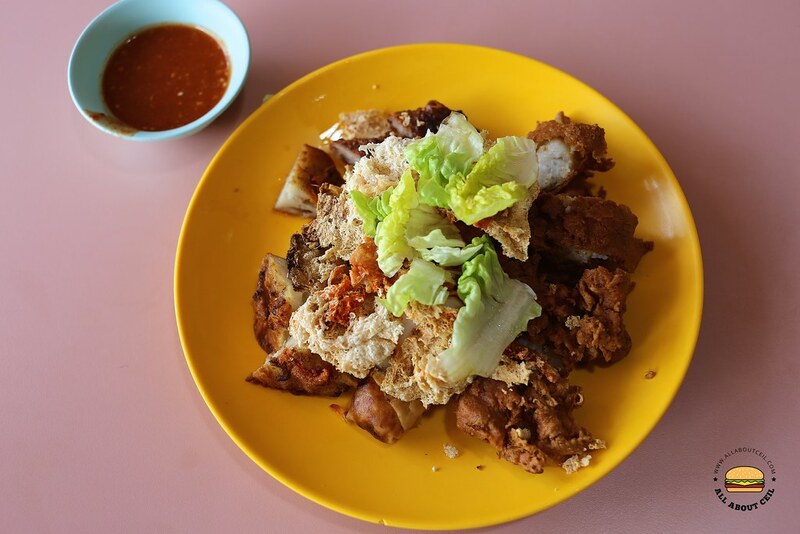 Their fried bee hoon is a must-order, it is one of the nicest that I ever had. 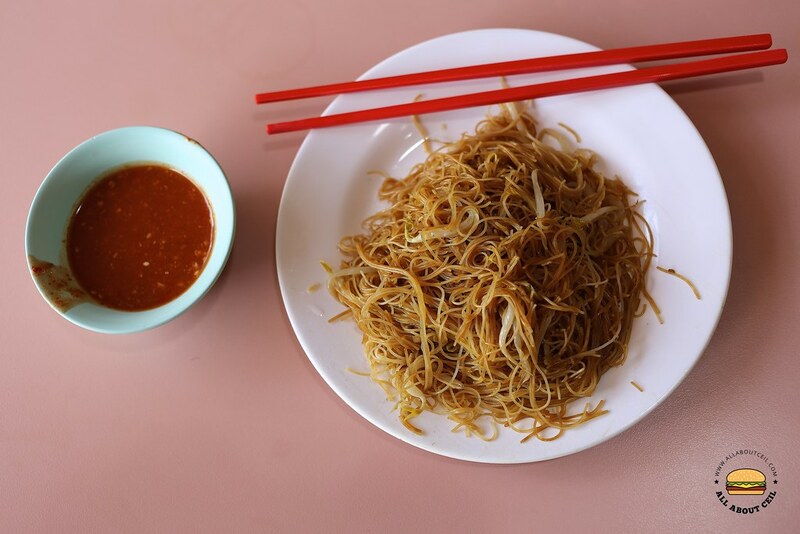 Though it is a simple dish, they did it well, it was mildly seasoned with light soya sauce and with a handful of beansprouts that added for a textural contrast. I remember the bee hoon not bad, but not as good as TPY Lorong 8 one. But this one is less oily I think.